The AMSA is a non-profit trade association established in 1936. Based in the Washington, D.C., area, AMSA's mission is to represent the interest of the domestic and international moving and storage industry and to help the customers it serves. As a member, we uphold their Code of Ethics and belief in providing honest, ethical, efficient and quality services. 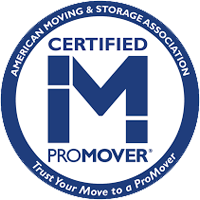 A certification earned through the AMSA, the ProMover program takes the worry and the hassle out of moving by helping consumers identify quality professional movers who have passed background checks and subscribe to the goals, standards and Code of Ethics set by the AMSA. New Jersey Warehousemen & Movers Association was organized by licensed movers in 1969 to build consumer confidence in the New Jersey moving industry. NJWMA's mission is to encourage the spirit of unity amongst its members, to promote best practices, public image and honest advertising to its members, to provide education, support and training for members, to respond to consumer complaints about members, and to serve as the voice of the moving and storage industry in New Jersey. 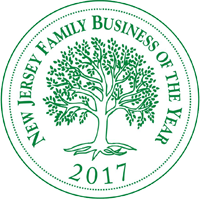 Chatham Moving & Storage is proud to have been awarded the title of New Jersey Family Business of the Year for 2017 as voted on by Fairleigh Dickinson University's Rothman Institute. This award is intended to recognize family firms that best exemplify strong businesses acumen, active family engagement, innovation, and community involvement.